During the winter, the cold weather can often make it more difficult for us to make good driving decisions. To help you avoid the bad habits that often accompany the change in seasons, we have compiled a list of some of the worst ones to help you identify if you need to make some changes to your habits. All-season tires, contrary to public opinion, do not actually protect you all year round. All-season tires become much less effective after the temperature drops below 7 degrees Celsius. After that, the best protection for you and your family is winter tires, which are specially designed to get better grip in cold weather. If not cleared completely, snow from your vehicle can blow into your windshield or the windshield of other drivers. Be sure to remove all snow from your windshield, hood and roof. This will prevent you from getting into a collision, and also prevent others from getting into collisions as well. When the temperature drops, it may be tempting to put your key in the ignition and leave your car running while you go back inside the office to finish off some work. While you may think your parking spot is safe, it only takes one opportunistic criminal to pass by at the wrong time for you to have your car stolen. In the winter months, it's possible for your locks to freeze up, leaving you unable to open up your vehicle. Some drivers will leave their doors unlocked in order to avoid the frustration of being locked out. However, it's an obvious security problem to leave your vehicle unlocked for days on end. Thankfully there is a very cheap solution: a $2 de-iced that can be purchased from hardware and convenience stores. For home insurance purposes, it is vitally important that you have a detailed inventory of your possessions. In the unlikely event that your home is engulfed in flames or inundated with flood water, you will want to know what to replace. Without a list, it will be almost impossible to remember all of the items you once owned. To help you with the process of creating an inventory, we've compiled a step-by-step guide that you can follow to ensure you don't lose out on a future claim. Description - What is the item? If there is a serial number or ISBN number attached to the item, record that as well. Purchase price - How much did you pay for it when you bought it? Age of item - When did you buy it? This will help the insurance company establish how much the item has depreciated. Appraisal certificate - This only applies to items like jewelry, antiques or collectibles which appreciate in value over time. Without a proper appraisal certificate for certain items, you may not be reimbursed the full amount. Also, keep in mind that you will be reimbursed the amount attached to your most recent appraisal certificate. 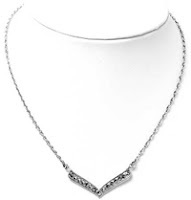 Therefore, be sure to keep your appraisals up to date so you get the most accurate amount for your item. Receipt - Very few people keep receipts for everything, and insurance providers understand that. For more expensive items, however, it will make the process much easier if you have a copy of the receipt. Using a video or still camera, go through your home and record the items from your written list. This will prove to your insurance provider that you actually owned the item you want to replace. Include members of your family in the video or still footage to prove that the footage is indeed of your home. If you're using video, talk into the mic and describe the items you are showing. Be sure to focus on the serial numbers of the more valuable items. All the evidence in the world is useless if it's destroyed. Make sure you don't store your video, photo and written proof in your home. If your home is destroyed in a flood or fire, you won't have anything to show! Keep a few copies stored on DVDs or CDs at friends homes. Also keep a copy online. The web service Dropbox allows you to store up to 2GB for free online: use it to keep your lists and video/photo footage secure. As we become more experienced drivers, there is often a tendency to adopt unsafe driving habits. It may have been years since we had an accident, or even a close-call, and so we become blissfully ignorant of the risks of driving. These habits can cost us financially and personally; consistently driving without taking proper safety precautions will likely lead you to be involved in an accident. Or, you may find yourself on the receiving end of an expensive ticket. Here are a few of the worst driving habits that you should avoid at all costs. Excessive speed is a factor in one-third of all fatal crashes, yet most people admit to speeding on a regular basis. Speeding is dangerous because it makes it more difficult to spot and react to conditions on the road. The faster you're going, the less likely you'll be able to react to a stalled car in your lane or a patch of ice in your path. In winter especially, speeding should be avoided at all costs. It usually doesn't get you to your destination any quicker, since most cities have timed lights which favour people going the speed limit, and it puts you and everyone else on the road at risk. Followers of our blog may be getting tired of all the articles we write on the dangers of distracted driving, but it is a serious problem that has only recently been getting attention. 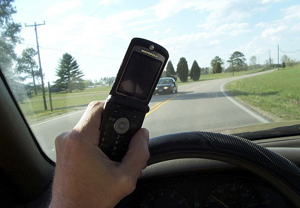 In the US, 20% of injury crashes involve reports of distracted driving. While you may not think that programming your GPS or fiddling with your iPod is a serious threat to your safety, the statistics show otherwise. Following the driver ahead of you too closely is one of the worst habits you can develop as a driver. Not only does it put you in danger, but it directly threatens the safety of the person ahead of you. If they were to slow down quickly to react to road conditions, you could rear end them and injure both parties. If someone is driving too slowly in the passing lane, a quick tap on the horn will let them know that they should be in the right-hand lane. If you aren't sure whether you're following too closely, try this trick: count the seconds it takes for your car to pass the same fixed object that the car ahead of you just passed. If it is less than two seconds, you're tailgating. In poor weather, there should be four seconds between you and the car ahead. Signalling is one of the simplest habits to implement. You literally only have to lift a pinkie to signal properly. Signalling lets other drivers know when you're changing lanes or turning. In city driving, where you may have to slow down abruptly to turn, it's important that you let the driver behind you know. Otherwise, you may find yourself in rear-ended! After having a few drinks at the bar, it's easy to think that you haven't had "too much." Despite how you may feel, remember that you should not drive for at least two hours after having a drink. Make your life easier and take a taxi or walk home -- it's simply not worth the risk of getting a DUI offense and having your license revoked, or causing an accident because of your negligence. As road conditions continue to deteriorate the closer we get to winter, it is more important than ever to avoid distracted driving. As of September of this year, not only is it unsafe to drive distracted, it's now illegal -- you could face a $192 fine for not paying proper attention to the road! It's easy to fall into bad driving habits, but remember that it's your responsibility to be as safe as you possibly can on the road since you share the road with others. To help you understand distracted driving, we've compiled a list of the most common forms of distracted driving. Talking on the phone. This is the big one. Cell phones have become ubiquitous in modern society. You can tell this is the case by how difficult it is to find a pay phone in any given Canadian city! Almost everyone now has a mobile phone, and while there are considerable benefits to the telecommunications boom, it has led to more people talking on the phone while driving. One of the most simple tricks for those of us who find it irresistible to talk on the phone while driving is to put your phone in the trunk before you hop in the car. This way no matter what happens, you won't be tempted to pick up your phone. Eating in the car. While it may seem like a good idea to save some time in the morning by eating while driving, the statistics show that you can't do both well at the same time. A simple granola bar may not affect your driving, but trying to eat a full breakfast on the road will mean that your attention is directed away from your most important task: driving! Fiddling with the music player. If you have an iPod hookup in your car, it can often be tempting to try to change songs while driving. In winter this is a recipe for disaster; even looking down for a split second could mean that you miss a patch of ice and go careening off the road. Winter requires extreme vigilance, so set up a playlist ahead of time and leave it be for the duration of your commute. If you really must change your music, pull over at a gas station and park your car first. Inputting coordinates in your GPS unit. GPS units can be incredibly useful tools for getting proper directions to and from places. They are, however, meant to be programmed before a trip, not during a trip. If you have made a mistake in inputting coordinates, pull over at a gas station and park your car before using your GPS unit. Doing so while driving is extremely dangerous, as it directs your attention away from the road. Remember that even a split second loss of attention means that you are putting yourself and other drivers on the road in danger! Winter driving is dangerous enough without the added risks of driving distracted. Avoid putting yourself and others in danger by following the tips above! Your house is one of the most valuable and important investments you'll make in your life. It's the place where your kids grow up and where you have your fondest memories. Most importantly, it's the place you call "home." Given the importance your home plays in your life, it is essential that you have an insurance policy that will provide you with peace of mind. Despite what most people tell you, it doesn't have to cost you an exorbitant amount of money to have a great insurance policy. The following tricks will help you to find the best insurance coverage for the best price! This is the most important thing you can do as an insurance customer. Insurance companies make it very easy to get free quotes online, so take advantage of technology and find out where you can save the most money! An hour on the phone or computer could save you thousands of dollars on your home insurance! By far one of the least known "tricks" among insurance customers, increasing your deductible can save you a great deal of money on your premiums over time. The higher you make your deductible, the amount you will have to pay to make a claim, the lower your premiums. If you are fairly certain you won't have to make a claim in the near future, it is in your economic interest to increase your deductible and pay lower premiums. However, keep in mind that if you have to make a claim, it will cost you more. Insuring your car and home with the same company will often result in savings. If you currently have your car and home insurance plans spread out over a few companies, check to see how much you could save by lumping them together with the same company. Be sure to shop around though, since it may still be cheaper to insure with multiple companies. While it is possible to save a great deal of money by shopping around for insurance plans on your own, you can never beat the expertise of an insurance broker. Not only can they find you the most inexpensive insurance policies, but they know how to read through the insurance jargon and understand exactly what you're paying for. Sure, you may find a policy on your own that is much cheaper than the rest, but do you know what you're getting? You could be getting a bare-bones policy that won't cover you for everything you require! With these tips in mind, you will be able to save money and get the policy you want. Remember that not all policies are created alike and the cheapest policy is not necessarily the best. Teaching your child to cook can be one of the most rewarding tasks as a parent. Knowing how to cook will enrich your child's life and make them healthier adults. However, kitchens can be dangerous places for young children and it's important that you know how to prevent your child from getting into trouble. Keep any toxic household cleaners like bleach, detergents and pesticides locked away in a high closet. Most people keep these products under the sink, but unless you have a locking mechanism, it's easy for your kids to get into these dangerous products. Consider purchasing non-toxic products for your house such as non-chlorine bleach and vinegar. When cooking, use the back burners to prevent anything hot from falling off the stove and onto a child. If you must use a front burner, make sure the handle of the pot or pan is pointed to the back of the stove. An overhanding handle could be pulled down by a child, causing the contents of the pan or pot to spill onto him or her. When leaving the cooking area, be sure that all knives are put away or out of reach of children. Even if you leave for a minute, there's still the risk your child could harm him or herself. Keep appliances unplugged and the cords hidden when not in use. This means toasters, toaster ovens, coffee machines and other electric appliances. When transporting hot liquids, be conscious of where your children are. If you have very small children, be sure you watch near your feet so that you don't trip over them. Put a lid on your recycling and garbage. Remember that your child is curious and will likely get into anything that's not secured. With these tips in mind, and a pinch of common sense, you can rest assured that your child is safe in the kitchen. Remember that children are incredibly curious and you have to anticipate that they will likely get their hands on anything that's not secured! When you've been in an accident, you're often flustered and unsure of what to do. You may feel overwhelmed with the prospect of making a claim and finding a new ride to work! To help you navigate this process, we've created a list of things to do after you've been in an accident. Stay Calm. The worst thing you can do is lose your temper. The accident may have been entirely the fault of the other driver, but nothing gets solved by raising your voice and getting upset. Safety First. Before you do anything, be sure that nobody is hurt. If someone looks like they need medical attention, call emergency services right away. Move Your Car. After you've determined whether everyone is safe, you should proceed to move your vehicle off the road to avoid any further accidents from happening! If the vehicle is too badly damaged, you will have to call a tow-truck. Be sure to call your insurance company before doing so, however, since they may have special deals with towing companies. Call the Police. If damage to the vehicles is serious, you should call the police. They will file a report and make a determination of fault at the scene. Be sure to answer all the police officer's questions, but do not make any admission of guilt. Fault will be determined by them and the insurance adjuster. Document the Scene. Use your cell phone camera, if you have one handy, to take photos of the scene. Write down the names and phone numbers of witnesses, record the time of the accident, and be sure to make note of anything else you think is important. If you're with Sharp Insurance, you can use the handy iPhone claim app, available here. Call Your Insurance Agent. Your insurance agent or broker can tell you the next steps from here in terms of making a claim and getting a temporary vehicle. They can also put you in contact with their preferred towing company if you require towing services. Taking into account these steps will ensure that you make a proper claim. Remember that accidents happen to people all the time and it's just one of those facts of life. Provided you have a good insurance policy, you will likely be given a temporary vehicle and will be able to get to work without problems. One of the most common questions we get asked is "How can I save money on my car insurance?" It makes sense: too many people spend way too much money on car insurance when they don't have to. After reading this article, you will be equipped with the knowledge that could save you hundreds, if not thousands, of dollars on your annual car insurance premiums! When you were a kid, didn't your mom tell you to call around before going shopping to find the right price? Well, she was dead right. With insurance, as with anything, you have to know what companies are offering. Some companies give better premiums to elderly drivers, while others provide discount specials to young drivers fresh from passing their test. Call as many insurance brokers and agents as you can to see who can get you the best deal. 2. Lump together insurance plans. If you also have business or home insurance, see if you will get any special discount for insuring your car with them too. Be sure to compare that discount with the savings you would get from insuring with another company. You will also want to think about convenience over price -- even if it costs you more to insure with the same provider, it may make your life simpler, and sometimes that's priceless! This is especially important for young drivers who have no experience. Insurance companies are most concerned with your driving history: what kind of driver are you, how many accidents have you been in, how likely is it that you will get in another accident? To show them that you have some basic knowledge of how to drive, take the basic driving training course in your province: you are likely to see a significant reduction in your premiums! 4. Buy the right car. The kind of car you buy has a lot to do with the insurance premiums you will pay. By and large, the more expensive the vehicle, the more money you will pay on your insurance premiums because the cost of replacement is high. If your car is rare and parts are hard to come by, you may also find yourself spending more than you had expected. Your best bet, then, if you want to save money on your premiums, is to buy a simple vehicle that does not cost much to insure. When calling different insurance companies, give them a few options of the cars you may want to drive under their policy. They can give you a quote for each and you can see for yourself how each car differs. In the insurance industry, there are two broad groups of insurance providers: insurance agents and insurance brokers. Insurance agents represent individual insurance companies while insurance brokers represent clients and find the best insurance plan on their behalf. Brokers have access to all of the insurance policies of the insurance companies, and can select the best plan for you given your budget and coverage needs. Of course, you pay a small commission for this service, but this will more than pay for itself when they find you an insurance policy far cheaper than you could have found on your own! In Canada, winter can do some serious damage to your car if you're not careful. You may lose hundreds (or thousands) of dollars of value on your vehicle and may have to pay even more for repairs. Winter also presents more difficult driving conditions, and it's important to be ready for them. To avoid causing harm to you or your vehicle, be sure you know how to prepare your vehicle for winter. At the Insurance Experts, we've compiled a list of tips to help you do just that! Get winter tires. All-season tires do not actually mean that they work for every season. When the temperature drops, you will need a set of winter tires. They have specially designed treads which give you better traction on icy roads. Buy the right windshield wiper fluid. When the temperature drops below zero, you may find that your regular windshield wiper fluid begins to freeze when it hits the windshield. This can cause you visibility problems while driving, a very serious safety risk. When it begins to get cold, have your regular windshield wiper fluid swapped for the winter variety. Invest in the right wipers. Nothing is worse than driving to work and realising that your wipers don't actually do their job. They may wipe only half the windshield, forcing you to crouch down and try to view the road through the limited space given to you. This is not safe and could lead to a serious collision. Be sure you have winter rated windshield wipers that are able to handle the colder temperature. Get rid of road salt. Road salt can cause serious erosion problems to your vehicle. It's important to wash your car regularly in the winter, to avoid damage from road salt. Also consider waxing your vehicle regularly, as it is an effective protective layer against salt. 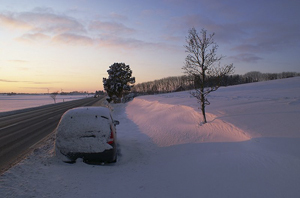 With these tips in mind, you can rest assured your vehicle will be safe in the winter. You should also talk to a trusted mechanic, as they have greater knowledge about what your particular vehicle will need and what kinds of treatments are important in your region.